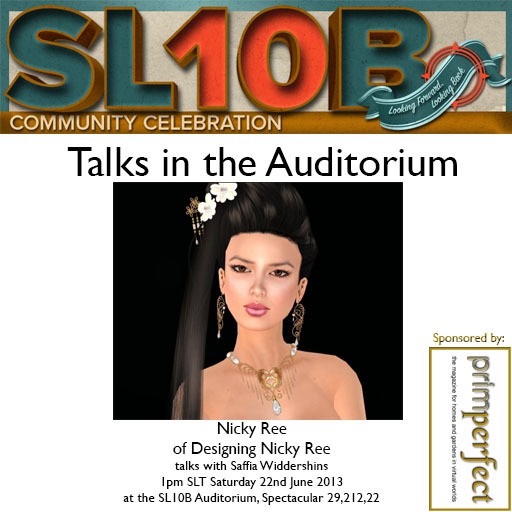 Firstly, at 1pm, Saffia will be talking to the well known fashion designer Nicky Ree about her work and her experiences within Second Life. 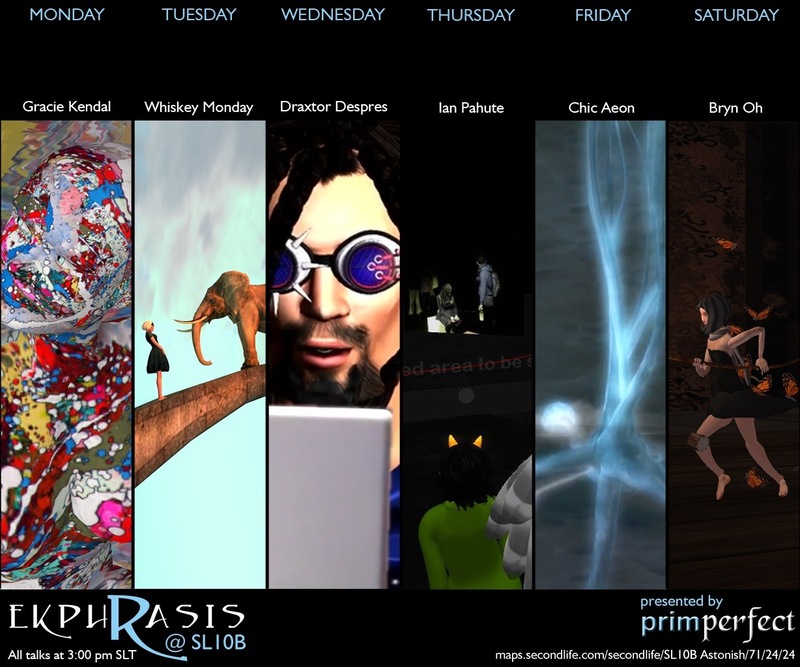 Then, at 3pm, in the next in our series of Ekphrasis talks, Rowan Derryth will be talking to Bryn Oh, the well-known (and very popular) Second Life artist. You can see more details of that talk here. 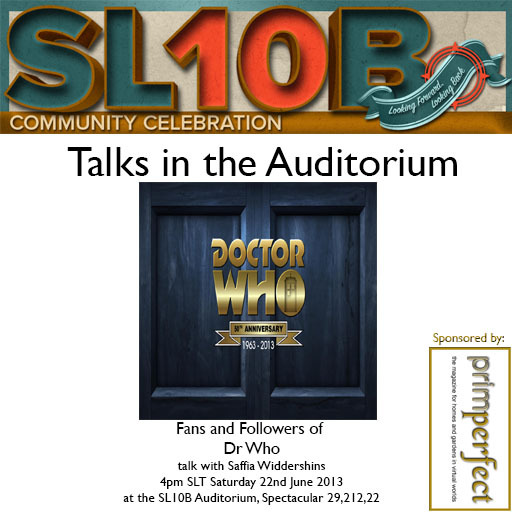 And finally at 4pm, Saffia will be talking to fans and followers of Dr Who in Second Life. 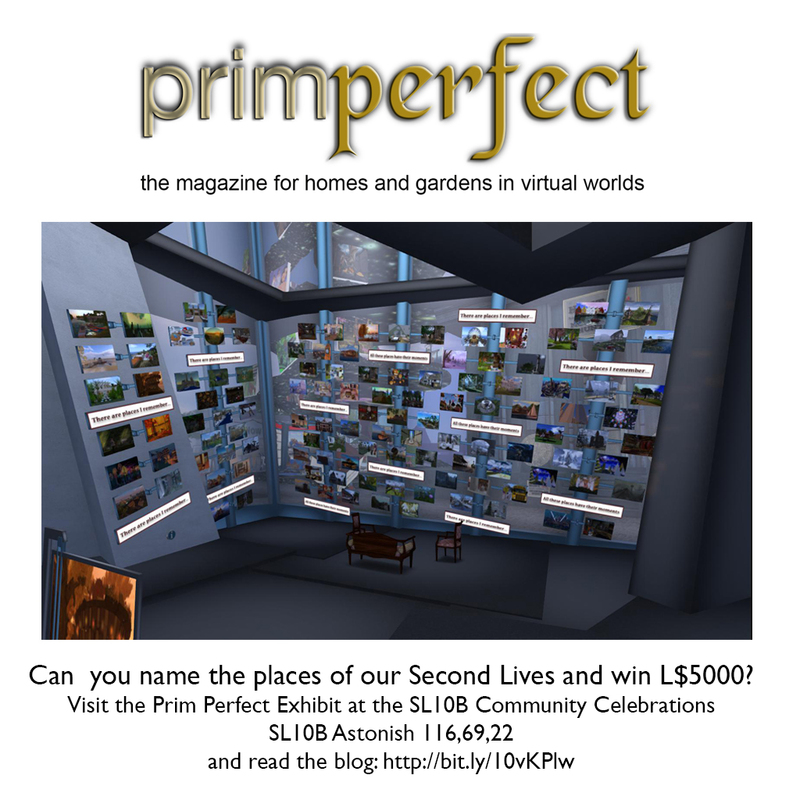 Next Post: Designing Worlds celebrate 200 Episodes – now on the web!